Pressure cook beef with 1 cup of water and salt, for 20 minutes or till done. Heat oil in a stew pot and add bay leaves, cinnamon, cardamom and cloves. Add the ginger and garlic and fry for a few seconds. Add the onions, green chillies and curry leaves. Fry till the onions turn light brown. Add the spice powders and sprinkle some water. Fry till the aroma comes out. Add 2 cups of water and add the potatoes. 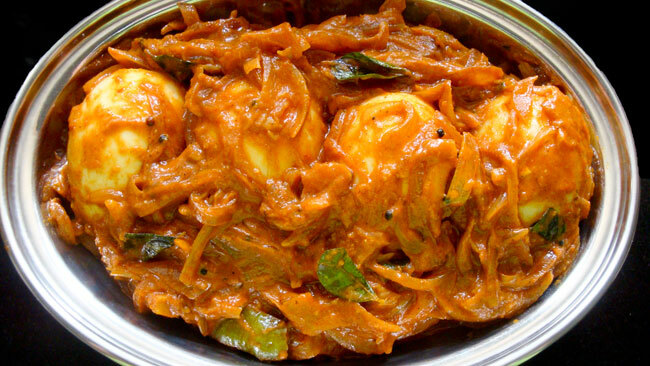 Cook covered for 5 minutes and then add bottle gourd, pumpkin, carrots and tomatoes. Cook covered till done. Now add the cooked beef along with the left over water. Add the beef stock cube and vinegar, mix well and adjust the salt. Let it simmer till the gravy is thick. Finally, add the thick coconut milk and mix well. Switch off the flame before it starts to boil. 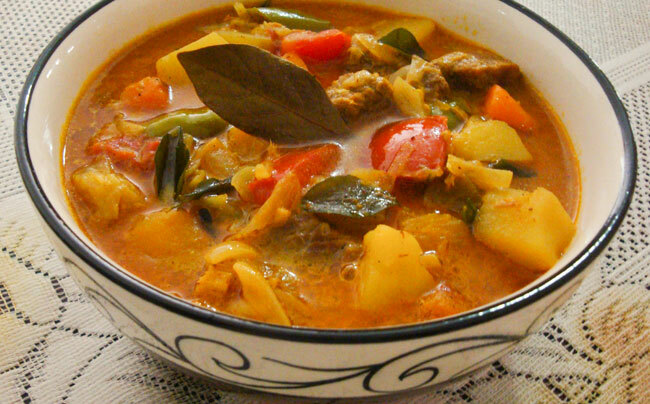 Serve delicious ‘Curried Beef Stew’ with rice, bread or idiyappam. Enjoy! 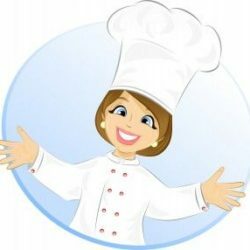 You can use any vegetables of your choice for this recipe. 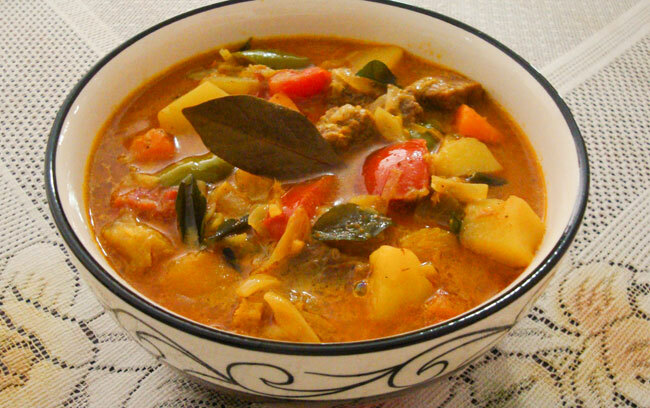 Very inviting and colourful stew.